It's Monday morning again. You know exactly where I've been already today. 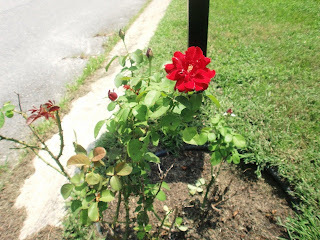 One of the things that came with our new house is the rose bush out by the mailbox. Now, I have two brown thumbs...I once killed a cactus, truth be told. But I wanted desperately to make this scrawny, sick little bush into something beautiful. With a little research and some TLC every Monday morning, I've been able to nurse this puny little bush into something beautiful. I clear away the overgrowth in the dirt around it. There are usually some dead, diseased leaves that need to be trimmed away. The old blossoms have to be pruned off and special vitamin-enriched water will keep the plant thriving for another week. My Lord and Savior is the fragrant blossom that flourishes in the field of bounty. Knowing that makes my own flowers that much more special Each blossom that comes up from the ground is His creation, fashioned exactly the way He envisioned it. It's my pleasure and my responsibility to care for those few little blooms He has placed at the edge of our property. In much the same way I have maintained my little rose bush and turned it into something pleasing to the eye, my Lord is doing the work of a gardener in my life. I constantly need to have the soil around me cleared out and fertilized. There are all sorts of weeds growing up in my heart and in the life I need, and Jesus Christ is the only one who can rip those nasty things out by the roots! If I'll turn over all the junk and sin in my life over to Him, He's so willing to tend the soil I'm planted in. The Lord is also faithful to prune away the diseased leaves and dead stems from my life. I may have gotten saved and become a new creature, but the old man has to be put off every morning. There are old, nasty parts of my life that spring up all the time, but now I have a loving caretaker who loves to snip them all off. And I'm so blessed to have Living Water drenching me every day. I don't have to worry about being broiled in the sun or run out of nourishment, because my Savior is my constant companion, providing fresh water whenever I need it. 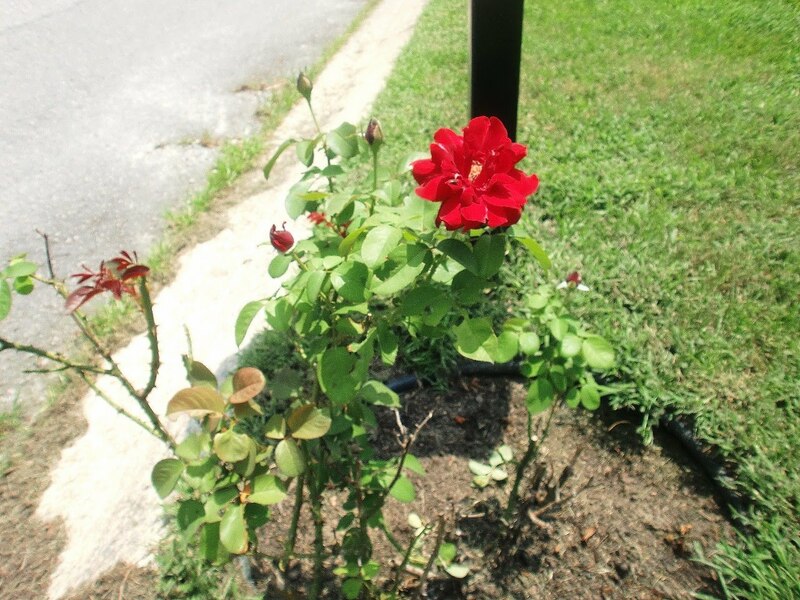 One tiny little rose bush sits by the mailbox, and the Rose of Sharon sits at the right hand of the Father, making intercession for me. What a blessing to my heart every Monday morning when I tend my flowers. Have You Ever Been So Busy? Are We Too Busy For Revival?